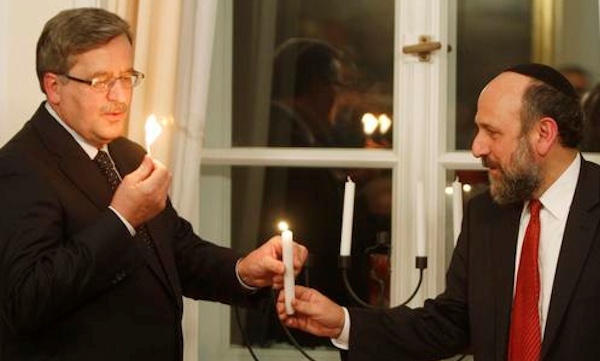 Bronislaw Komorowski, the president of Poland, has said that he considers the preservation of the religious rights of the country's Jewish community to be a national interest of supreme importance, according to the 'Jerusalem Post'. Komorowski met with several leading European rabbis and leaders of the local Jewish community last week and said that he would "take significant steps to advance the issue of approval of kosher slaughter,” which has been banned in his country since January and which the Polish legislature, the Sejm, in July refused to make legal again. Chief Rabbi Michael Schudrich told Komorowski that the Polish Jewish Community would in the coming days submit an application to the Constitutional Court to rule on the matter. The Catholic primate of Poland, Archbishop Jozef Kowalczyk, and the Vatican's envoy in Poland, Nuncio Celestino Migliore, have also publicly supported the overturning of the ban.